Second HV network survey completed for 180 terminations. Prysmian has recently completed a second comprehensive HV network survey for Hydro-Québec in Canada using Prysmian Group’s exclusive Pry-Cam Portable. Hydro-Québec – government-owned public utility that oversees generation, transmission and distribution of electricity for all of Quebec –, has chosen to partner with Prysmian Group for this new survey (the second), involving on-line partial discharge measurements of 180 HV terminations. 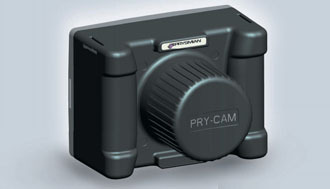 Pry-Cam Portable is a small, high-performance PD acquisition system, specifically designed for on-line measurements. It includes a patented wireless electromagnetic sensor for PD signals detection and phase synchronisation, a digital acquisition system and a WIFI interface. Pry-Cam Portable is accurate and easy to use: by simply pointing it at the electrical component to test, it is immediately able to stream PD data to a PC or tablet wirelessly. 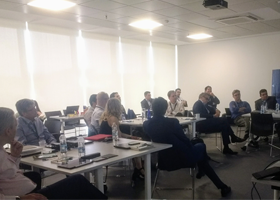 Thanks to the exclusive Pry-Cam technology Prysmian Group can provide a reliable and accurate diagnosis within few minutes. During the conference, Hydro-Québec underlined the necessity of having an accurate, flexible and fast PD instrument for on-line measurements during normal operation. When comparing Pry-Cam Portable with the other instruments tested, they stressed the false positives often obtained with the latter. “Pry-Cam Portable was always able to measure very small partial discharges without the false positives produced by competitors’ devices” ended Candela.